Washington, D.C. (July 17, 2018) — The Fiber Broadband Association (FBA) is pleased to welcome Streakwave Wireless as a new member. Streakwave Wireless, a wholesale supplier based in San Jose, California, distributes broadband networking and telecommunications equipment all over the world. The Fiber Broadband Association is the largest and only trade association in the Americas dedicated to the pursuit of all fiber optic network infrastructure to the home, to the business and to everywhere. 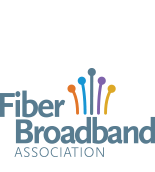 The Fiber Broadband Association helps providers make informed decisions about how, where, and why to build better broadband networks with fiber optics while counting on its members to lead the organization forward, collaborate with industry allies and propel fiber optic deployment forward. Since 2001, these companies, organizations and people have worked with our communities and consumers in mind to build a better broadband future here and around the world. Learn more at fiberbroadband.org. Streakwave Wireless, Inc. is a global value added distributor with sales and distribution facilities in: San Jose, CA (headquarters); Salt Lake City, UT; Cincinnati, OH; Hong Kong, Melbourne, Australia and Canterbury, New Zealand. Streakwave offers complete lines of wireless broadband networking equipment, telecommunications solutions, IP surveillance/security and green technologies from top-tier manufacturers.